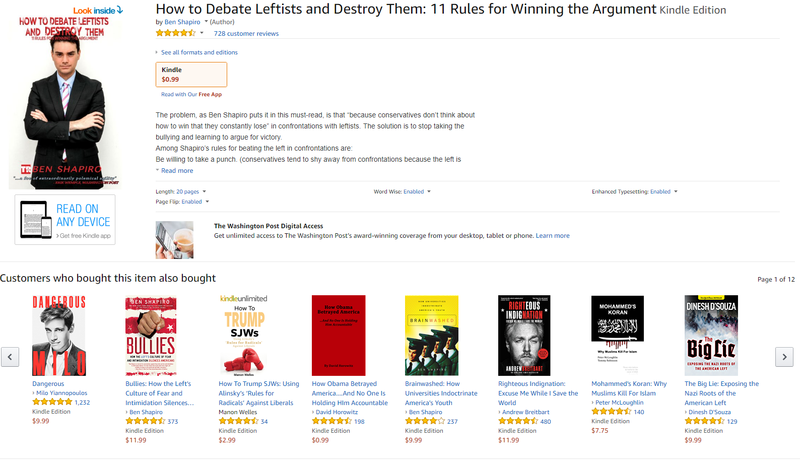 Of those three, the only book to show Inside GamerGate in its “Customers who also bought” section is Milo’s book, Dangerous. 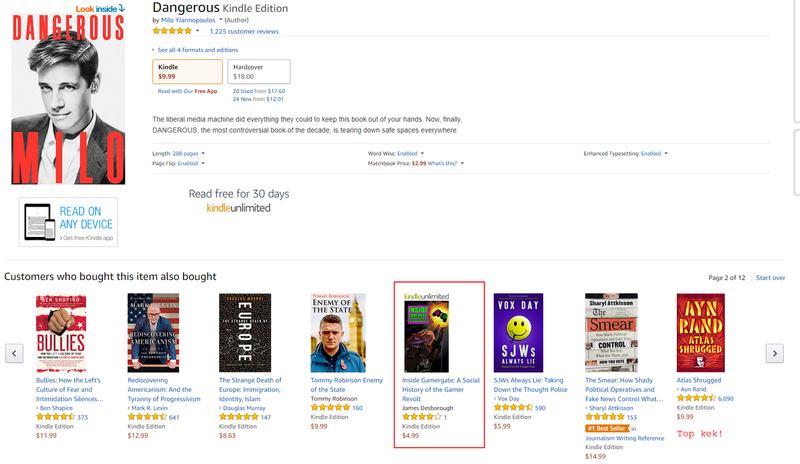 Dangerous Gamers has ten full pages of books his customers also bought within a wide variety of genres. There’s Sci Fi/Fantasy books, True Crime, Western, Classics, Literary Criticism, Thrillers, Historical Fiction, and Satires. That’s because the customers who bought Dangerous Gamers have a wide variety of reading tastes, which their shopping trends reflect. 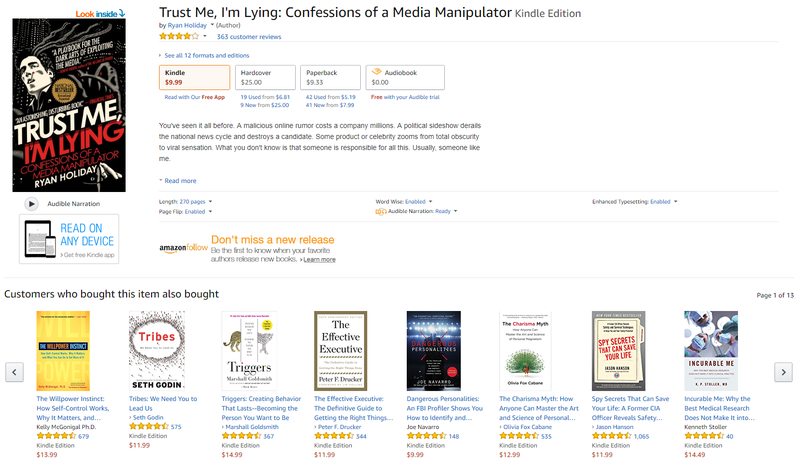 Sure, Amazon’s recommendation algorithm is a bit of a black box system, but what we can observe still shows a common trend. But like I said earlier, I’ve bought the book, so my purchases are factored into Amazon’s recommendation algorithm. However, other books about similar topics tend to show a broad range of suggestions, as these examples show. Having customers who buy a wide variety of other titles on the Kindle store helps promote your book to other readers. This is important if you want to grow your audience beyond your core base of followers and influence people outside your social circle. Sure, every book has its target audience, but you need to reach out beyond that if you want to grow that audience. 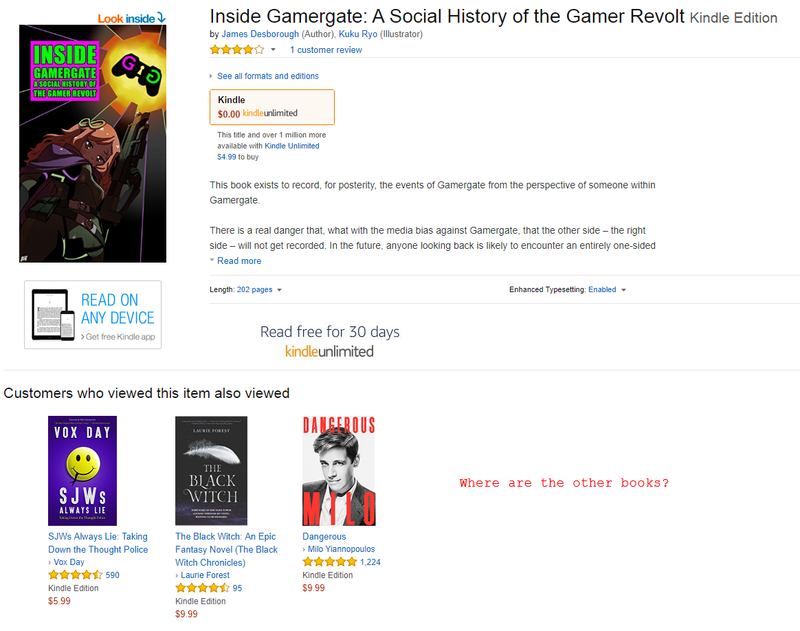 Notice how Xavier Lastra never referred to his book as a GamerGate book. He framed the book around a phenomenon in gaming that a lot of people care about, not a social club that’s appealing only to those part of it. Ask not what the Internet can do for you; ask what you can do for the Internet.